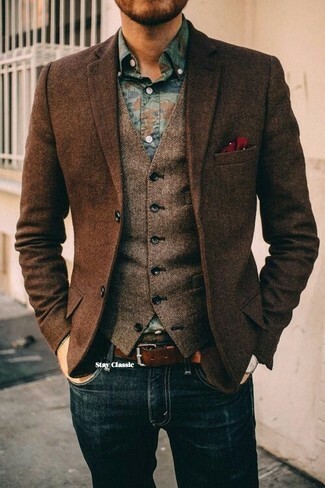 For a casually elegant getup, go for a brown herringbone wool waistcoat and blue skinny jeans — these two pieces go really nice together. 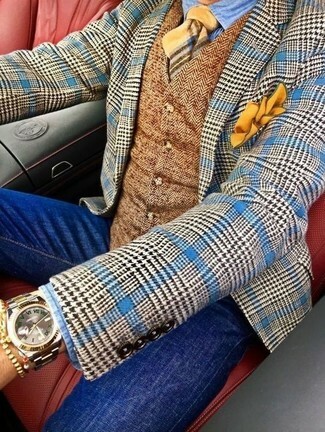 Contrary to what you might believe, getuping dapper doesn't take that much time. 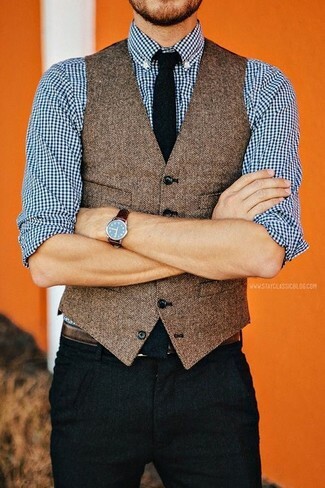 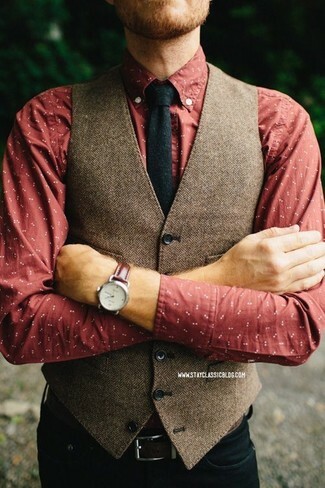 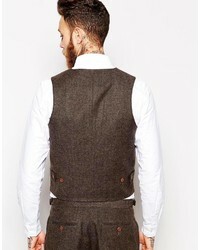 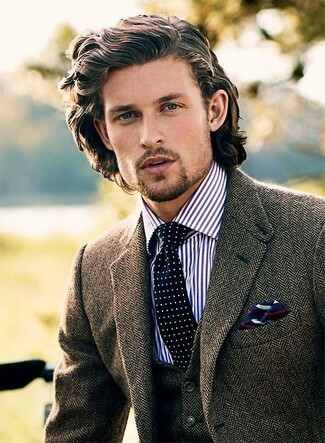 Just try pairing an Asos brand slim fit vest in herringbone with black chinos and you'll look incredibly stylish. 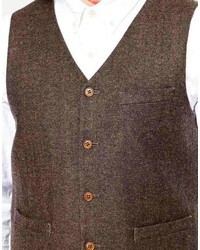 This combo of a brown herringbone wool waistcoat and black jeans is super easy to put together in no time flat, helping you look seriously stylish and ready for anything without spending a ton of time combing through your closet. 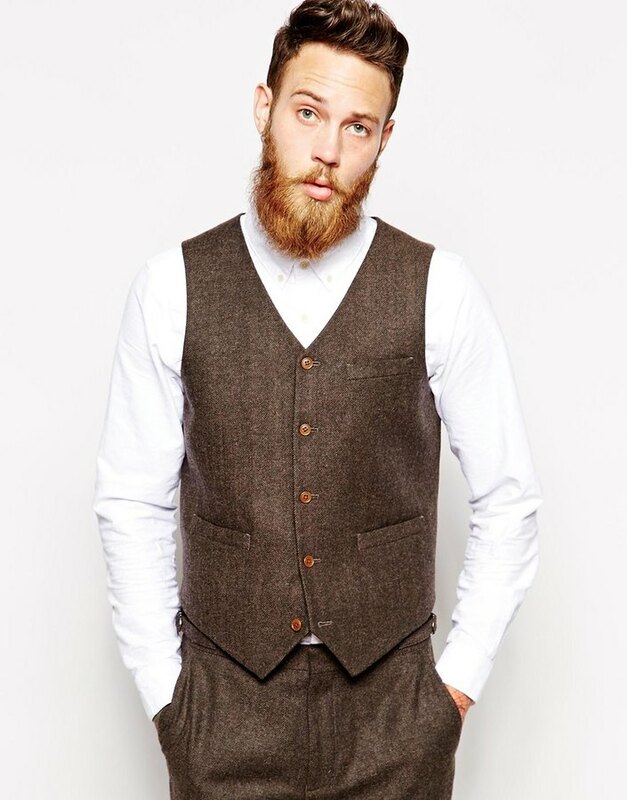 For a casually elegant look, try pairing an Asos brand slim fit vest in herringbone from Asos with navy jeans — these two items the workplace beautifully together. 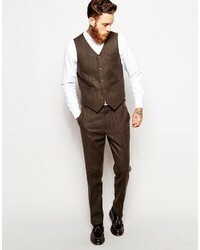 Opt for an Asos brand slim fit vest in herringbone from Asos and a brown herringbone wool blazer for a sharp classy look.